A stunning lid to make a favourite jam look great on any breakfast table or when serving up the perfect cream tea. 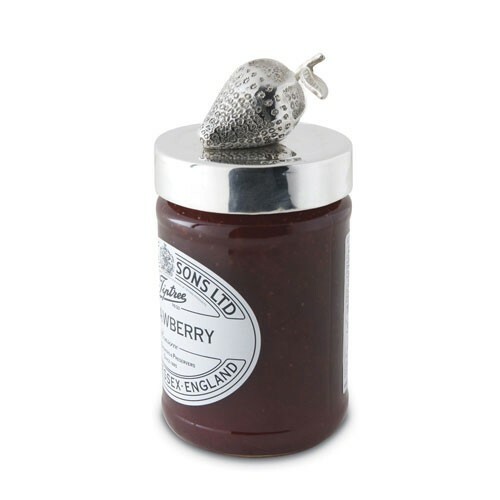 Silver plated jam jar lid cover with a strawberry design, designed to fit standard sized jars (6.75 cm diameter). gift boxed. Beautiful item. Perfect gift and well packaged. Unfortunately , not as pictured. Although item was nice , it differed greatly to that on web page. very disappointed. My friend loved her jam and I complimented it with some scones and clotted cream.